Caps are great gifts for musicians, especially for marching band students who need something to shield their face from the sun. 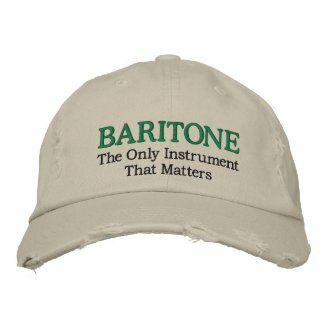 We have lots of funny marching band slogans on hats for guys and gals. 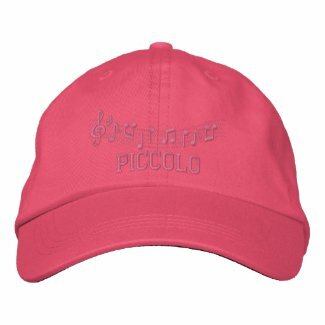 Get matching embroidered music caps for your band section or buy a funny band hat to strut your musical stuff at band rehearsals or trips. Here are some examples from our embroidered band apparel section of our music store!